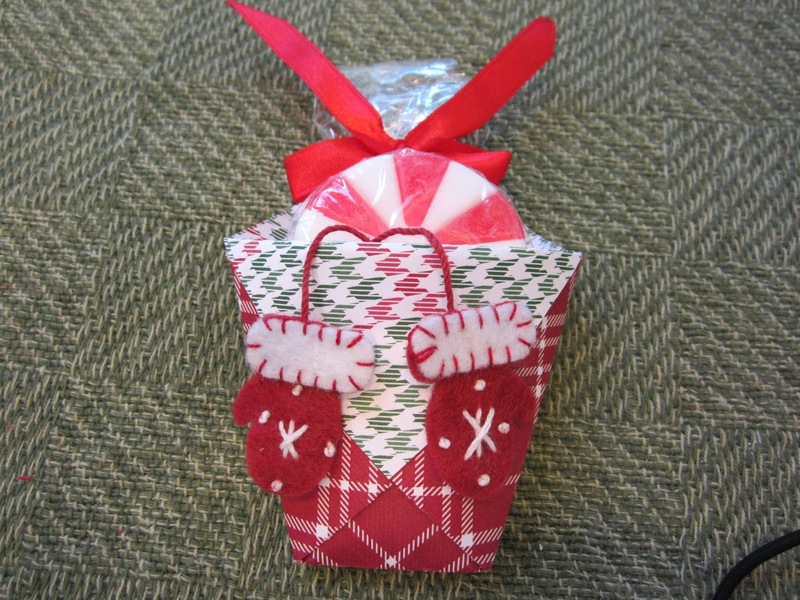 A Peppermint Soap in a Holder made from Stampin' Up! 's Frostwood Lodge Designer Series Paper! 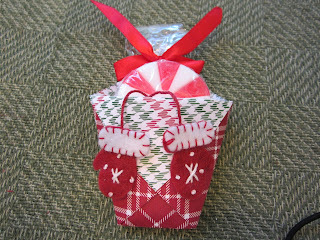 Check out those adorable little mittens - they are from the Winter Wishes Stitched Felt in the Holiday Mini Catalog. They are so cute! What a great stocking stuffer this is.